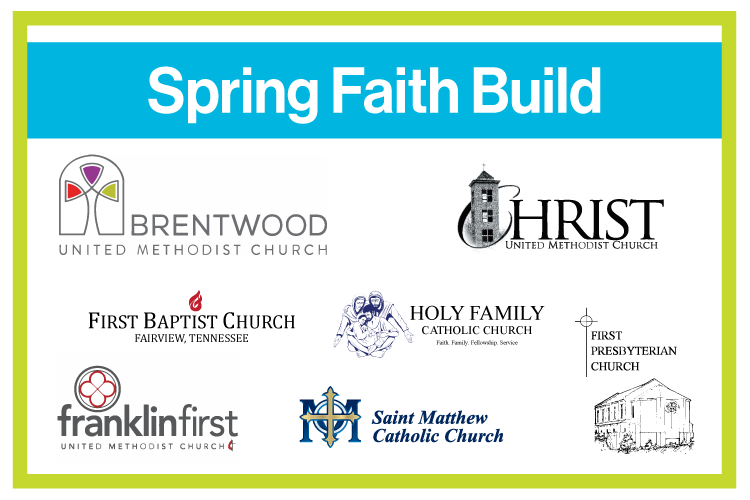 During the Spring Faith Build, local congregations come together to raise $70,000 and volunteer-build an affordable home for a local family in need. We would like to thank our 2019 sponsors Brentwood United Methodist Church, Christ United Methodist Church, Cross Point Church Franklin, Fairview First Baptist Church, First Presbyterian Church of Franklin, Holy Family Catholic Church, and St. Matthew Catholic Church for their financial support this year. We are excited to welcome the Alejandro to our homeownership program. Fairview residents, Marco and Jennifer Alejandro, and their two sons, Dalton and Jacob, are sports fanatics. Eleven-year-old Dalton has played hockey since he was four. “God put hockey in my heart,” says Dalton. 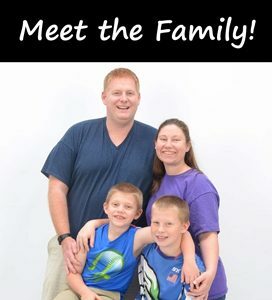 His seven-year-old brother Jacob plays soccer, baseball, and runs cross-country. The boys are so excited that they will soon have a yard where they can practice their sports daily. Click here to learn more about the Alejandro family.